On December 18, the Saga Prefectural Government issued a press release on what appears to be a pretty important, or at least highly interesting find for the sword world. That find was made by Yoshihara Hiromichi (吉原弘道), associate professor at the basic education center of Kyûshû Sangyô University. He discovered in the Prefectural Library, which preserves, amongst others, about 130,000 locally transmitted historic documents, a so-called Mei Zukushi (銘尽), the forerunner of the later Meikan (銘鑑), i.e. lists of smiths that contain, depending on the source, more or less information like where and when a smith worked etc. Now the very Mei Zukushi was found within the archives of the Ryûzôji (龍造寺) family, a powerful clan from Kyûshû. This archive consists of 277 documents and the Mei Zukushi is written on the back of two so-called Môshijô Dodai (申状土代), drafts for official petitions. Paper was relatively valuable at that time, what is also one reason for the text being so cramped together, and it is not uncommon that documents that are of no more use were reused by writing on their back side. The press release states that although the 277 documents of the Ryûzôji archives are designated as a jûyô-bunkazai as a whole, not all back sides have been checked in detail so far. 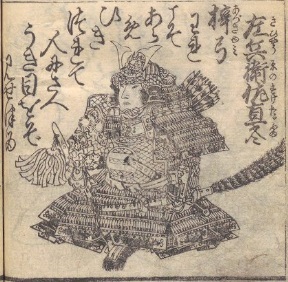 The Mei Zukushi is dated Kan’ô two (観応, 1351) and as it is part of the Ryûzôji archives as mentioned, it got the working title Ryûzôji Bon Mei Zukushi (龍造寺本銘尽). The so far oldest extant sword publication or rather sword document was the Kanchi’in Bon Mei Zukushi (観智院本銘尽) which I have introduced in this article from 2014. The Kanchi’in Bon Mei Zukushi is believed to be a fair copy of a sword data from 1316 but as the copy itself is from 1423, the Ryûzôji Bon Mei Zukushi beats it as “new” oldest extant sword document. At the moment, it is thought that either Ryûzôji Iemasa (龍造寺家政) or a person close to him had copied a precious sword document that was brought by Ashikaga Tadafuyu (足利直冬, 1327~1387/1400?) or one of his staff to a camp that Iemasa visited that year, Kan’ô two. I will omit historic details at this point but want to state that Tadafuyu was a son of the famous Ashikaga Takauji. So, both he and Iemasa were clearly in the league of high-ranking persons who needed a sword guideline, either for themselves or, more likely, to pick proper presents to reward allies and vassals. OMG MARKUS I FEEL BLESSED now that you are here! My mind is like a sponge to absorb any and all related information on Japanese swords and other edged weapons. A Happy 2018 to you too!